SINGAPORE - The economic outlook for Singapore in 2017 may be gloomy, but it is unlikely to bring hiring to a halt thanks to certain key industries. In fact, about 36 per cent of companies here are planning to hire in the new year, according to Michael Page's 2017 Asia Salary & Employment Outlook survey. Of these, about 6 in 10 are looking to hire at middle-management level. On top of that, 63 per cent of the 450 companies surveyed said they were planning to give their employees a one to five per cent salary increase. Michael Page also expects market activity in Singapore to see a slight uptick, due to continued investment in three key industries. "Digital, technology and healthcare are likely to be the country's fastest-growing industries due to the government's pledged efforts to boost investment in these sectors. As a result, employers across these three sectors are likely to continue hiring actively, though recruitment efforts will largely focus on filling niche roles," the company's regional managing director of Greater China, South East Asia & India, Anthony Thompson, said. But such niche technical requirements combined with the desire to hire employees with solid industry experience are likely to result in fierce competition for a limited pool of talent. "Employers may need to adopt a more open-minded approach, hiring a candidate that possesses a majority of the required skills and invest in further training instead," a statement from Michael page said. 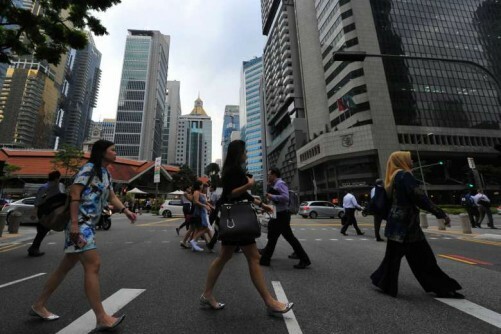 When it comes to retaining local talent, companies in Singapore ranked salary increase, learning and development opportunities as well as workplace flexibility and work-life balance as the three most important factors.